Anyone who has ever been to Andamooka or Coober Pedy in South Australia's arid outback will already know how Urodacus yaschenkoi manages to survive in such harsh conditions. A walk through Coober Pedy on a hot summers day is stifling to say the least, with a beeline often made to the nearest pub for a coldie. 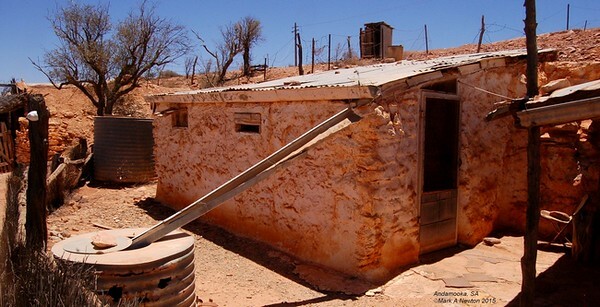 Much of Coober Pedy's population live underground in wonderfully cool and pleasant conditions that fluctuate very little throughout the year. 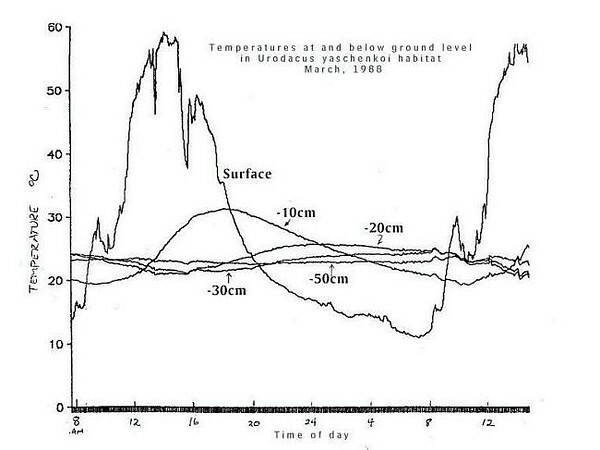 U. yaschenkoi worked this out a very long time ago as can seen by the graph; temperatures taken through a 24 hour period in the middle of summer show you don't have to go far underground to reach stability. Midday ground temperatures skyrocket to 60°C during the heat of the day and plummet to 10°C in the early hours of the morning. However at a depth of only 300mm the fluctuation is minimal with temperatures between 30°C and 25°C. The deeper you go the more stable and minimal is this fluctuation. To the scorpion this means an environmental stability with greater control over metabolism and water loss, which is critical to survival in such an environment. Early pioneers to Australia quickly worked out that which burrowing scorpions already knew - it's much cooler underground.